Arlo Guthrie's song is converted into a motion picture. Arlo goes to see Alice for Thanksgivng and as a favor takes her trash to the dump. When the dump is closed, he drops it on top of another pile of garbage at the bottom of a ravine. When the local sheriff finds out a major manhunt begins. Arlo manages to survive the courtroom experience but it haunts him when he is to be inducted into the army via the draft. The movie follows the song with Arlo's voice over as both music and narration. 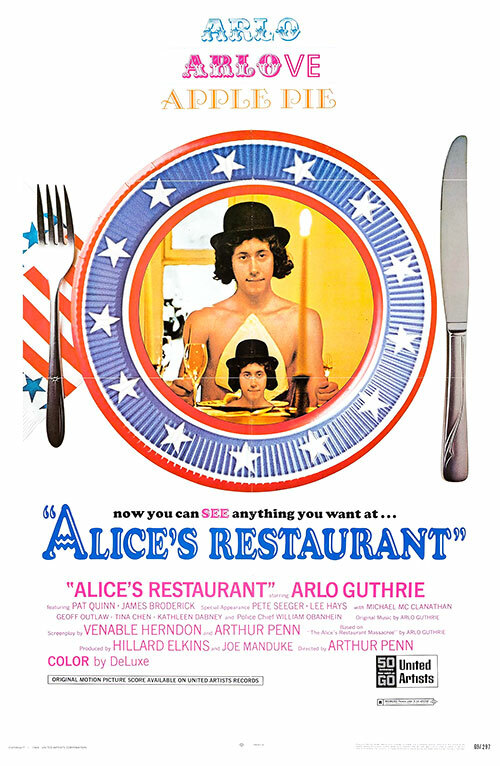 0 Response to "Alice's Restaurant (1969) Arthur Penn"